If you have ever reset your iPhone and then restore from iCloud backup file, you may find that this method may result in some data loss. Besides, you cannot preview the backup and may restore one that doesn't contain the missing data. In addition, if your backup file is large, it will take a lot of time for you to complete the restoration. Thus, to avoid these problems and to answer the question as title, we will introduce you 2 easy methods to restore from iCloud backup without reset. Just read on. 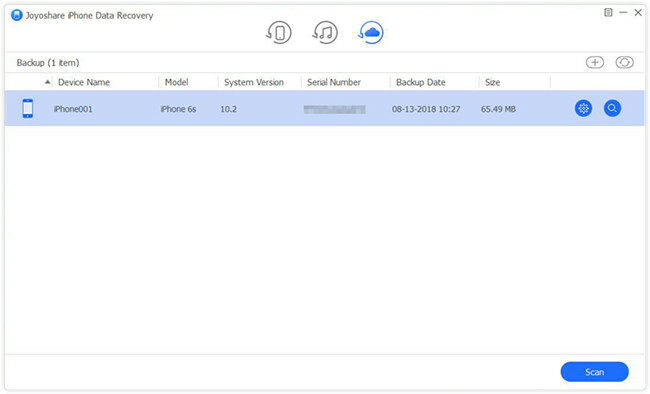 Without setting your device as a new iPhone, you can still restore from iCloud backup easily, what you need then is a trustworthy and powerful iCloud backup extractor - Joyoshare iPhone Data Recovery (or for Mac). This is the best iOS data recovery utility that can not only recover data from iOS device without backup, but also extract data from iTunes and iCloud backup files. The comprehensive solution supports over 20+ types of lost data files including call history, voicemail, iMessages, notes, calendars, and third-party app data, etc. It provides you real-time preview function and selective recovery, and will never overwrite the existing data on the iPhone. Now let's see the step-by-step guide on how to restore iPhone from iCloud without resetting with Joyoshare iPhone Data Recovery. 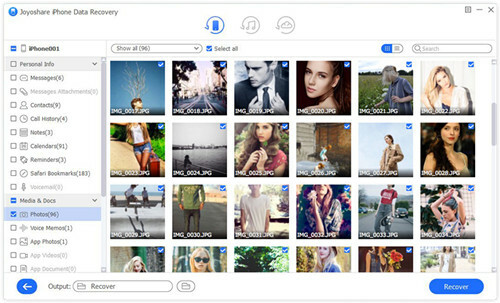 At first, go to the download page of Joyoshare and choose iPhone Data Recovery to download and install on your computer. 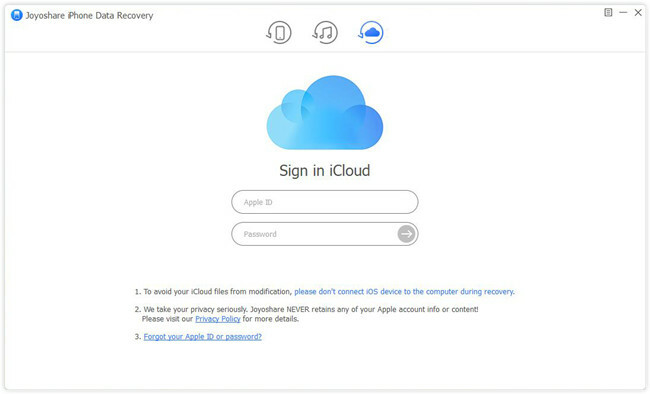 Launch Joyoshare software after installation and then select the third recovery mode from the top menu bar - "Recover from iCloud". Log into your iCloud account with correct Apple ID and passcode as required. Don't worry. Joyoshare will never record any personal info and content here. See also: Forgot Your iCloud Passcode? Look at Here! After entered iCloud account successfully, you'll see all iCloud backup files listed here. Choose the most relevant one and press the "Download" button. Once the download is done, you're freely to select data types for scanning such as Messages & Attachments, Contacts, Photos, WhatsApp & Attachments, etc. After that, click the "Scan" button to let Joyoshare scan the lost data from iCloud. Wait a while until the scanning process comes to an end. Now you're able to preview all recoverable files. You can also search for a specific one by entering a keyword, or filter out "Only show the deleted" items. Then press the "Recover" button and restore all data to your computer. The other easy way to get lost files from iCloud is to directly download data through iCloud.com. But it may only restore some of the deleted files such as contacts, calendars, photos, notes, etc., other data like WhatsApp attachments, iMessages, memos, etc. cannot be retrieved. Also, all the files will be kept for only 30 days. But it's still worth a try. Step 1: Open your computer and enter www.icloud.com on the browser. 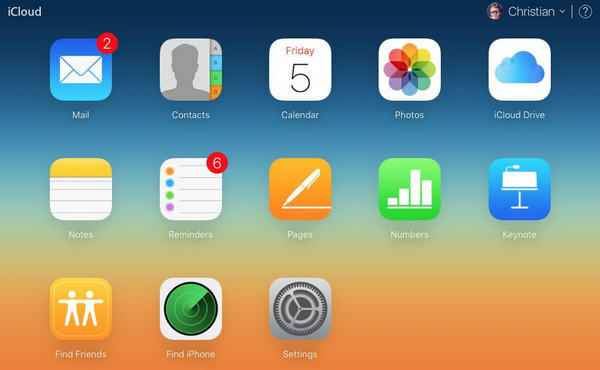 Enter your username and password to sign in iCloud account. Step 2: Now you can see all the specific files like Contacts, Calendars, Photos, Notes, Reminders, Bookmarks etc. after access to iCloud. You can click on the ones you'd like to recover and finish the restoring process as required.